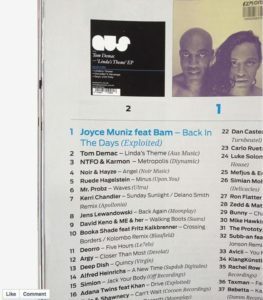 Joyce Muniz & Bam are still standing strong with Back In The Days! And there’s even better news for the wax lovers on here as you can preorder it on Juno now. Also Adana Twins’ Drive feat. 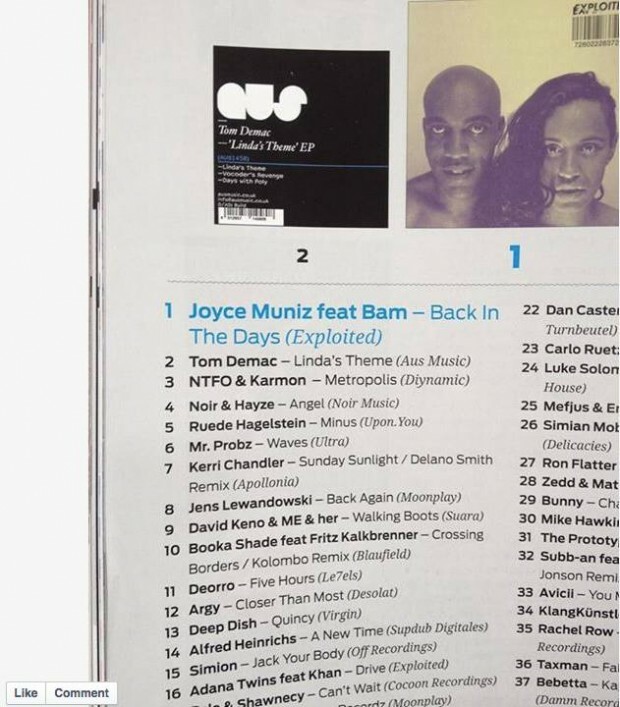 Khan is featured in this chart on #16.